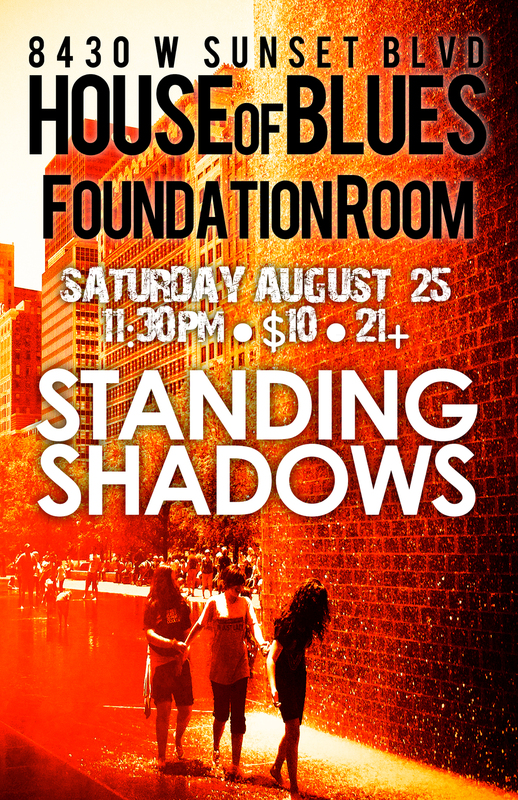 Note: Don’t Miss Standing Shadows This Week @ Shaker! We are so excited to host our first online pre-party this Thursday at Club53, Shaker's first music venue inside Facebook! Visit http://is.gd/StandingShadows this Thursday at 6:00pm PST and hang out with the band for some drinks, great music, and a chance to win free merch. You could even win a meet-and-greet with us at The Roxy in L.A.! • Enter Club53, and come find us! !